The report, Women Delivering Justice: Contributions, Barriers, Pathways, amplifies the importance of women’s leadership in the justice sector and reaffirms their professional participation in decision making bodies as a human right as well as a means of improving justice for women. The report notes that although there is growing realization about the importance of strengthening women’s participation in the public sphere, including in governance, the justice sector is lagging behind in many countries. World Bank data show that women hold the position of Chief Justice in only 26 out of 153 countries. According to the OECD, women hold only 33.6 percent of judgeships in Supreme Courts globally. Actual numbers in many countries are way below the global average. The report sets out the multiple values of enhancing women’s participation in the justice sector. Evidence from national contexts show that gender diversity in the justice sector can serve as a powerful remedy against trust-deficiencies that plague many conflict-affected environments. More women in the judiciary and the legal systems improve the effectiveness of the institution and generate public confidence. Citing a growing body of empirical research, the report shows that women judges play an important role in breaking down many of the barriers that women face in accessing justice. 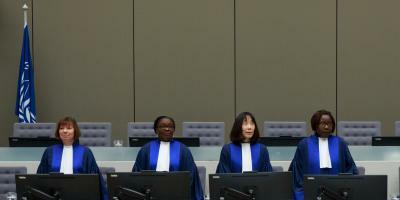 Being more aware than men of gender-specific justice needs across a spectrum of issues, including sexual and gender-based violence, women judges have spearheaded landmark legal decisions in a number of countries which have not only produced tangibly better outcomes for women but also shifted public policy. Despite the positive contribution that women make to the justice sector, IDLO’s research shows that the pathways for judicial promotion are blocked by many legal, political and social obstacles, including gender biases. While the report cautions against a “battle of the sexes” and a tunnel focus on raw numbers and quotas, it acknowledges the power of having a critical mass of women on the bench. The deep-seated stereotypes that women encounter can only be countered with greater representation. Policy recommendations conclude that political will and broad-based mobilization can help spark the momentum needed. The report calls on States to take concrete measures to address gender inequality and discrimination in the justice sector, both through the identification and the removal of legal and practical barriers to women’s equal participation, and through proactive steps to actively encourage and advance women’s equal representation.